It’s back to school time once again, and with it comes all the mixed feelings of sadness that summer is winding down, and of excitement and anticipation for all the promise a new school year holds. I was pleasantly surprised to find that the website We Are Teachers was promoting some printable teacher quotes today on Facebook, and that one of them was something I said. (Pulled from this very blog!) Click here for a link to this printable quote called “Take Another Look”, which I hope will inspire you to include more art in your classroom this year. Research shows that children involved in the arts benefit from it in innumerable ways. But most importantly, it’s fun… and your students will love you for it! Best wishes for a successful and art-filled school year! Welcome to the WeAreTeachers Blog Hop Stop #7. If you’re just joining us, head back to the BLOG HOP LAUNCH POST to find out how the Blog Hop works so you can collect all of the necessary clues for a chance to win an iPad, a $50 gift card and much more! Subject areas: Art — and virtually any other subject! In the high-tech gadget oriented world of today, why not give your child something refreshingly simple and fun this holiday season? (Not to mention, deceptively educational!) Offering limitless opportunities for creativity and self expression, the gift of crayons, colored pencils, and drawing paper is sure to surprise and delight your recipient. Though these tools might seem a bit “old school”, consider the fact that they are completely user-friendly, are one-size-fits-all, and don’t need batteries, or require an electrical outlet and a charge to be played with. Brilliant! Children of all ages will benefit from time spent exploring their creative potential with these simple yet empowering art tools. Not only does drawing and coloring help develop small muscles and fine motor skills, but it also helps kids learn how to approach and solve problems. Countless decisions are made while drawing, whether the budding artist draws something they are observing, or develops creatures unknown and lands unseen. Stories are created and imaginations are strengthened. All of this helps develop critical thinking, which is an essential component of the Common Core State Standards being implemented in schools across the country. While any type of crayons or colored pencils will do, Crayola is a trusted brand in the industry and one can be assured of their product quality, which ultimately results in a more satisfying experience for the artist. 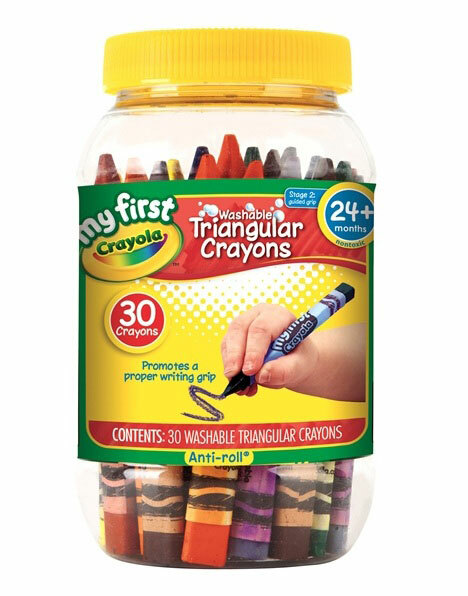 The triangular nature of the crayons in this pack means they won’t be rolling around the work surface, and the storage container keeps them tidy when not in use. Colored pencils are still fun for little hands, yet will allow the more mature artist to add detail to their work. 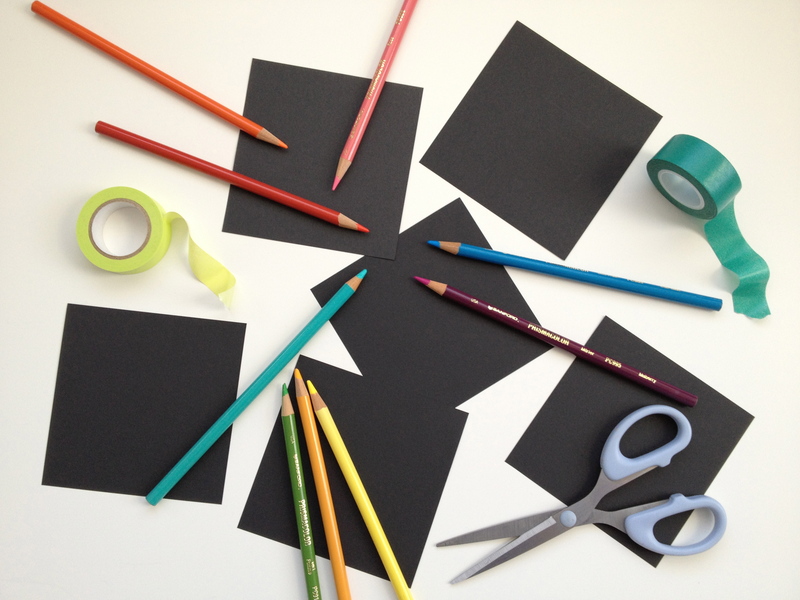 Having lots of paper on hand for your young artist is a must! 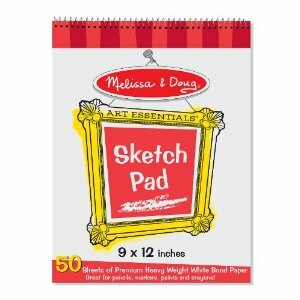 With 50 sheets of 9X12 inch paper, this sketch pad ensures the fun and creativity can go on and on. As a teacher, and as an artist, I believe meaningful art experiences play an integral part in discovering who we are as individuals. Art helps us see ourselves and the world we inhabit more clearly, while also helping us to imagine future possibilities. Giving the gift of creativity through the tools of artistic expression is a gift that is truly priceless.